The Park Manager has advised us that because a water tower has been placed next to the door of the Clock Tower, its mechanism can not be wound until next Monday. 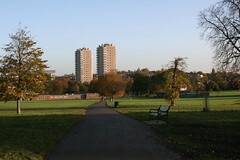 So that means that the Clock Tower, despite having been restored to working order only one year ago following years of comedic inaccuracy, will yet again display the incorrect time – just as Brockwell Park pays host to around a quarter of a million visitors at the Lambeth Country Show this weekend. The Lambeth Country Show celebrates its 40th anniversary on the weekend of Saturday 19th and Sunday 20th July 2014 at Brockwell Park. 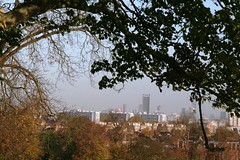 The Show is organised by Lambeth Council and you can find out all about it at their dedicated website. 1. 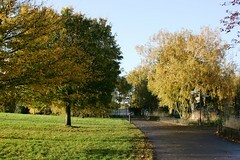 Brockwell Park Lido Wildflower Slope. 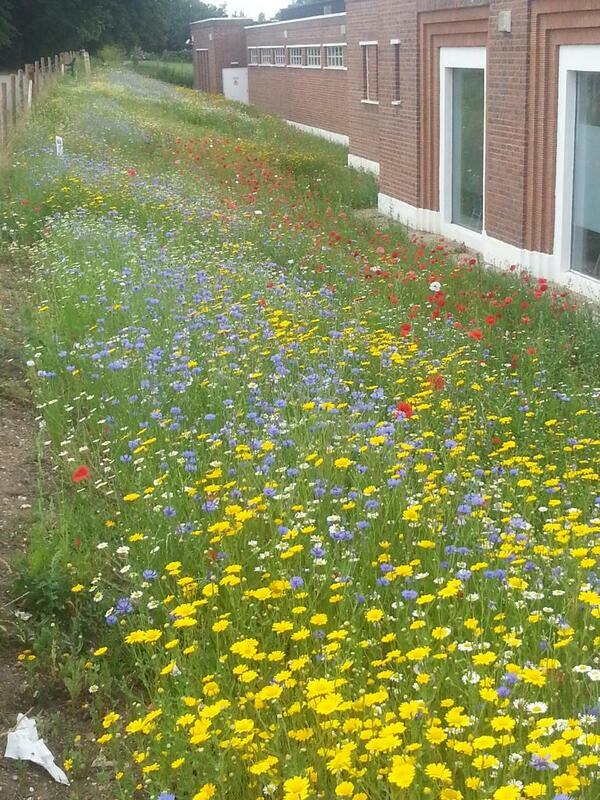 Take inspiration from the Brockwell Park Lido wildflower slope – formerly an unused gravel bank – which has now been populated with wonderful wildflowers by local volunteers. Then come and find Brockwell Park Community Partners stall in Charities West Area, pitch no ZW18, where you can buy low cost wildflower seed to create your own poppy haven. 2. 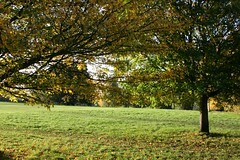 Brockwell Hall. The grade II* listed centrepiece of Brockwell Park was built over 200 years ago as the country house of glass maker John Blades. Today it houses a bust of Thomas Lynn Bristowe MP who put Brockwell Park in to public ownership on 6th June 1892 and has inspired innumerable lives ever since. 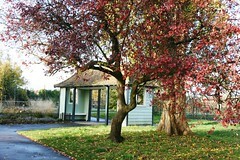 The Hall also houses Brockwell Park Cafe which serves refreshments and particularly good ice cream. 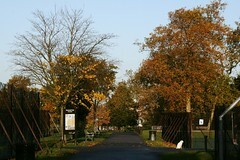 Just past the Hall is the Park’s historic Clocktower, installed in 1897. It was famous for not working for the last two decades – until restored to its former glory by a local community fundraising campaign earlier in 2014. Listen closely and you’ll hear it tick! 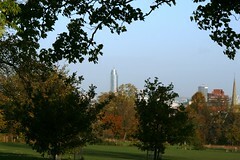 We hope you have a great time this weekend in Brockwell Park. 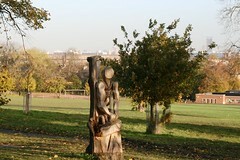 Brockwell Park Clocktower – unveiled today! Brockwell Park’s newly restored Clocktower was unveiled today by Former Lambeth Mayor, Rudy Daley JP (pictured, right), and Deputy Lambeth Mayor, Cllr Adedamola Aminu (pictured, left). Rudy was a major donor to the Clocktower fundraising campaign, along with many others that gave generously from the local community. Now that the Clocktower has been restored to working order we hope to arrange a small railed garden around the structure. 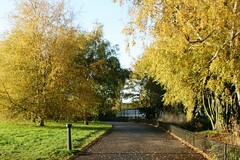 Many thanks to all that contributed to the Clocktower Campaign, a joint initiative of local park and community groups. 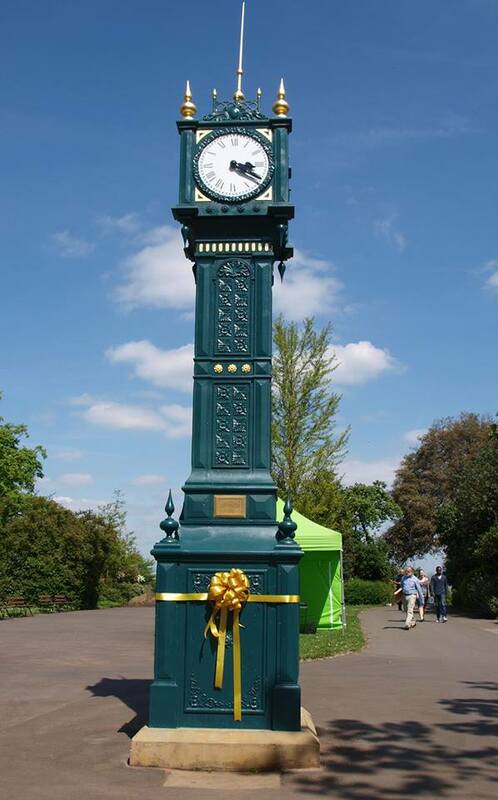 You are cordially invited to the official unveiling of the newly restored Clocktower in Brockwell Park at 3pm on Saturday 3rd May 2014. 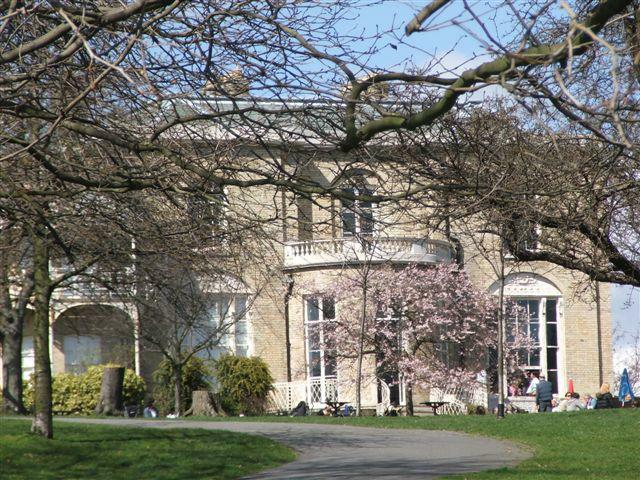 The restoration has been made possible through the generosity of local people donating to a fundraising campaign administered by the Friends of Brockwell Park and supported by the Herne Hill Society and Brockwell Park Community Partners. Brockwell Park Clocktower restored ! 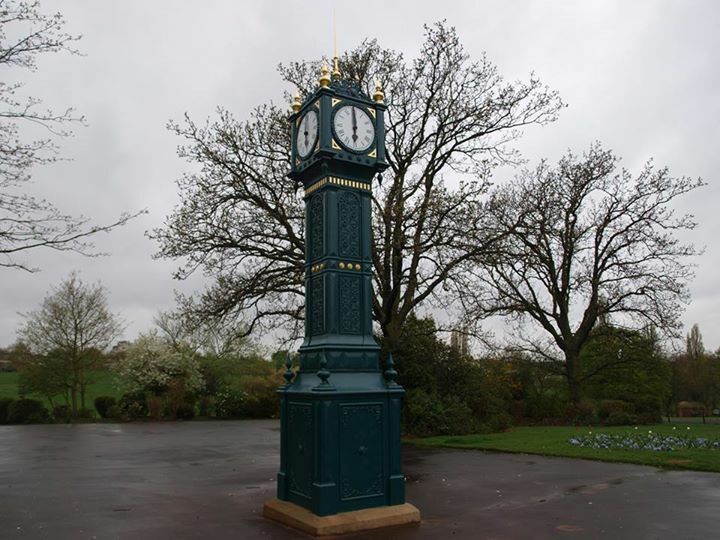 The scaffolding has been removed and Brockwell Park’s Clocktower has been restored! 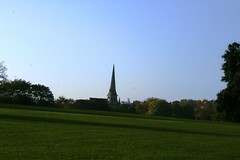 With thanks to Gillet and Johnston for its restoration, and to Brockwell Park’s stakeholder groups for fundraising to meet the cost of the works.